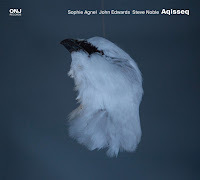 Although vocalist Sara Serpa has been around for a while, I hadn’t encountered her until she joined Mycale, the a capella quartet that recorded two volumes for John Zorn’s Book of Angels. After, I caught up with All the Dreams, Serpa’s 2016 album with guitarist André Matos, and worked backwards through her fascinating back catalog. 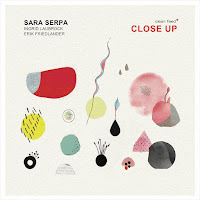 There’s a clear through line of experimentation in Serpa’s approach, from multitrack harmonics to clever instrumentation, and she thrillingly pushes some new boundaries on her new trio album. For Close Up, Serpa brought in cellist Erik Friedlander and saxophonist Ingrid Laubrock, two of the finest players. 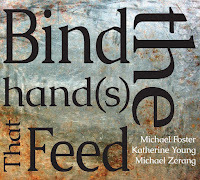 In the same way Serpa approaches vocals as an instrumentalist, Friedlander and Laubrock naturally play with a kind of vocal-harmonic approach to their instruments. 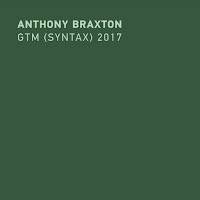 The result is an utterly enchanting knitting of cello, soprano and tenor saxophones, and vocals. 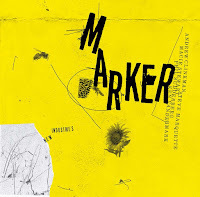 Take “Object,” the album opened, where Friedlander and Laubrock play a hocket-like exchange, which Serpa wordlessly bounces off, guiding the trio into a bright fugue. Occasionally, as on “Storm Coming,” Serpa’s compositions shift in small but effective ways, subtly upending the emotional timbre. The song opens with Laubrock evoking the delicate buzz of the natural world soon to be interrupted. One of the lengthier tracks, “Storm Coming” highlights the trio’s patient, painterly approach through long tones, using pauses to bring breath-like life to the composition. Again, Laubrock and Friedlander are perfect for this kind of setting. On “The Future” and “Woman,” Serpa uses texts by Virginia Woolf and Luce Irigaray to channel her explorations of contemporary womanhood. As a member of We Have Voice Collective, Serpa’s taking an active role in “creating equitable and safe(r) workplaces in the performing arts.” Her thoughts and concerns seem foregrounded on “The Future,” which uses a passage from Woolf’s diary, one of the most potent records of an artist’s personal meditations. Following Friedlander’s intoxicating solo, Serpa intones, suggesting ominousness, “the future is dark.” Yet in the final minute, as Friedlander gradually slows the pulse, Serpa sings the notable second half of Woolf’s line, “which is the best thing the future can be, I think.” Delaying the conclusion of the thought enhances the drama, yes, but it also gives Laubrock plenty of space to scribble contemplative notes in the margins. Later, on “Woman,” Irigaray’s text provides Serpa a lens through which to radically explore motherhood. 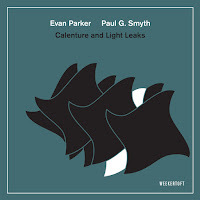 Her approach here would sit comfortably next to Kaja Draksler’s bold experiments with her octet, as the trio glides through the affecting verses with a sharpness that amplifies their meaning, separated a dense improvised interlude. “Woman” is one of the most captivating songs I’ve heard this year, rewarding multiple listens with new lines to think about and new interactions to explore. Closing with “Quiet Riot” and “Cantar Ao Fim,” Serpa, Laubrock, and Friedlander seem to have found new avenues of interplay. Their improvisations wind ever more tightly around each other, with cello and saxophone exchanging phrases and places effortlessly with Serpa’s wordless vocals. More albums like this one, please, and soon.